The wait has paid off!! We’re pregnant with our rainbow baby!! That puts me at 4 weeks 3 days (calculated by ovulation). 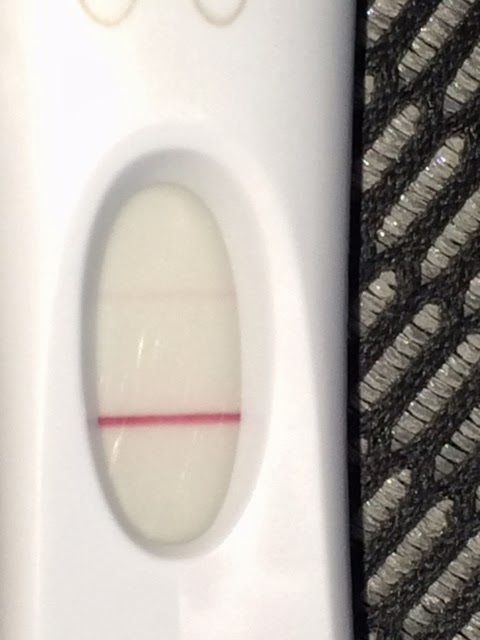 I had a hard time getting excited at first because of all of the worry that this pregnancy would end like the last one. But I have tested a couple times and the lines are getting darker much faster than last time. I am so excited! I have a much better feeling about it this time. I have still had pretty much the same symptoms since the last post. I had an awful night last night; couldn’t sleep at all. I did fall asleep early but I was up most of the night tossing. I had a pretty vivid dream a couple nights ago too. The constipation is getting better but its still there *sigh. * I have been so hungry lately too! Javier laughs at me but I am always hungry. Its not cravings, its just hunger. I could eat every 4 hours, seriously. I hope that goes away soon! I felt a little nausea this morning but nothing that had me running to the bathroom. I am so excited to share the news with everyone! I am waiting to share with close family until I go to the doctor. I even have an adorable idea for telling them! I will probably wait until 13 weeks to share the news on social media. I am so happy that I feel like I’m walking on air! I wanted to do a review/how it works post for hpt’s but I think I will do it in a separate post so that people can skip it if they don’t want to read. If you have some to spare, send a little sticky baby dust my way!